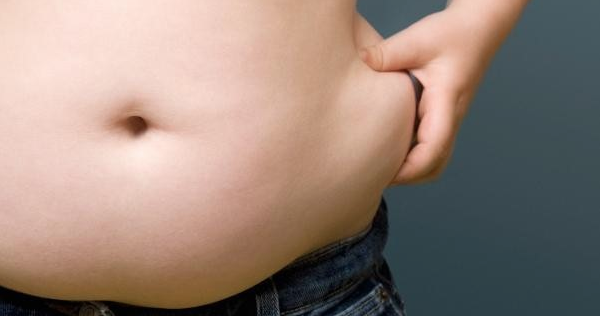 What Types of tummy you have and Know how to reduce it? Different tummy Type or types of belly may be due to multiple factors, so each will have a different treatment but exercise is usually a common factor to solve the problem. All bodies are completely different, especially if we talk about the belly of each person. While we can all agree on a certain degree of localized fat in the belly, the truth is that everyone has a different kind of belly and requires different ways to achieve reduction. If not willing to reduce it, know what your tummy type and what the best way to flatten it is. Here we reveal the types of bellies and the best tips to reduce it. This tummy type of belly is usually of people who lead a sedentary life. It is very common in people who have office jobs or who for some reason remain seated for long. Bad Habits: People with this type of tummy often have little physical activity, consume sugary foods, lots of flour and excess calories. Probably, besides having more belly fat, you will notice weight gain in your legs and hips too. If you consume alcohol, you’d better want to exclude that from your diet immediately. Alcohol is a pump for belly fat and excessive drinking is also one of the causes of increase. Avoid choosing “low fat” or “light” foods because, even if they seem harmless, the truth is that they are full of chemicals, refined sugar, salt and preservatives for flavor. Stop counting calories and worry more on nourishing your body. Remember that exercise is the key to reducing this type of tummy. Make a good cardiovascular workout and complement with squats and crunches strides. 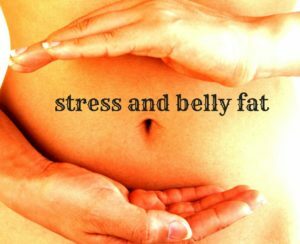 The stressed abdomen tummy type is usually very common in highly responsible and perfectionists’ kinds. Usually, those who have this type of belly also often suffer from irritable bowel syndrome, which can cause swelling and make the tummy look much worse. Bad Habits: These people tend to skip meals, often consume much fast food and abusing caffeine drinks. Improve your sleep habits and avoid falling into insomnia. People who sleep more disrupt the production of leptin, the hormone that helps regulate appetite and metabolism. Combat stress with relaxation technique activities that will generate pleasure like long baths. Exercise frequently, but do not overdo the cardio. Do yoga, hiking and endurance work with weights. It is advised to consume foods rich in magnesium such as green vegetables , nuts and seeds. This type of tummy is typical in women who have just given birth and that being typical mothers had no time for themselves. It takes at least six weeks to regain normal size, so do not try to overdo it to achieve this in less time. 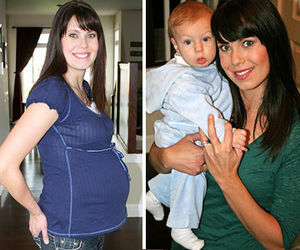 Bad habits: Back immediately to exercise, being stressed about not regaining normal weight, diet neglect after birth. Taking supplements of fish or omega -3 fatty acids. Eating foods rich in fatty acids, for example, nuts, avocados, olives and chia seeds. Do Pelvic floor exercises to flatten your belly from the inside out. Press and release the pelvic muscles on the floor for 15-20 times in five sessions a day. Swollen bellies are usually flat in the morning, but during the day are swollen by gas or indigestion. The strain usually affects both thin women and overweight women. This problem usually is due to food intolerances, allergies or poor digestion. The most common food intolerances are wheat and gluten ( bread, pasta, pastries, pizzas, cakes and cereals ), alcohol, yeast( in muffins, beer and pastries ) and processed dairy products (cheese, milk, butter). It is important to find out which of these foods can cause intolerance to exclude them from the diet. Improve your eating habits to have better digestion. If you suffer from constipation lately, you’re probably consuming wrong foods. Increase intake of foods rich in fiber and drink more water. Swelling may also indicate an imbalance in the intestinal flora. To restore it, it’s recommended to consume more food prebiotics and probiotics.